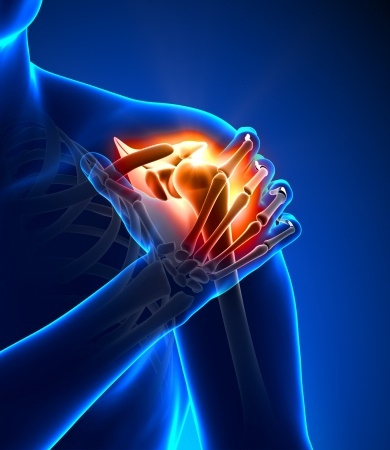 Torn Rotator Cuff Treatment: Nonoperative Care - Jeffrey H. Berg, M.D. You’ve been told that you have a rotator cuff tear. It is natural to wonder what is the correct torn rotator cuff treatment. The answer is…It depends. When it comes to torn rotator cuff treatment, there are two basic options: with surgery or without surgery. In previous posts, I discussed what a rotator cuff tear is as well as tear anatomy, causes and symptoms. This post will discuss the nonoperative care for rotator cuff tears. In a later post, we will review rotator cuff surgery. After diagnosing a rotator cuff tear, the next thing I try to determine is… Can it be repaired? (Unfortunately not all rotator cuff tears are repairable). If it can be repaired, I then have to ask myself…Does it need to be repaired? A large number of people with rotator cuff tears will either have no symptoms or temporary shoulder symptoms, possibly caused by an unrelated cause. As a result, many of these patients will not need surgery. Well, as we discussed in prior posts, the rotator cuff can tear by attrition slowly over time. Often these tears will cause no symptoms. The uninjured portions of the rotator cuff and the other muscles of the shoulder may compensate for the injured tendon. This can give normal or near normal strength and function. So if the tear doesn’t result in painful inflammation, there may be no symptoms at all. If you’re one of these people and you were recently diagnosed with a rotator cuff tear, your tear may not need any treatment. However, if you have symptoms and they are from some unrelated cause, then that’s where the treatment needs to be directed. Discuss this with your sports medicine surgeon. If you have an older tear and it is now causing you symptoms…the proper torn rotator cuff treatment for you, may still be nonoperative. For patients who have smaller partial tears, are relatively older or not involved in strenuous activities, a trial of nonoperative care including anti-inflammatory medications, physical therapy and relative rest (avoiding painful activities) would be an appropriate first-line treatment. Typically, I will try this for about 6 weeks, looking for any improvement. If there is an improvement in symptoms, then I will continue until the symptoms are resolved, reduced to an acceptable level or stabilize at an unacceptable level. If unacceptable, I may recommend surgery. Others that may benefit from a nonoperative torn rotator cuff treatment are those with very large, chronic irreparable rotator cuff tears. These can often be diagnosed with the help of an MRI. However, sometimes nothing more than an X-ray is needed. Since these tears are not repairable, then our rotator cuff tear treatment options are limited. We can either try non-operative treatment, as discussed above. This may include an occasional steroid injection to reduce any inflammatory pain. If these nonoperative treatments fail, we can replace the shoulder with one of two particular types of shoulder replacements, either a hemiarthroplasty or reverse total shoulder arthroplasty. Replacements are for “older” less active patients. If you are younger and there is no arthritis in your shoulder, you may be a candidate for a newer procedure, a superior capsular reconstruction. On the contrary, If you are relatively young, active, have a new traumatic tear or have an unacceptable response to nonoperative treatment and your tear is repairable, then surgery may be the only torn rotator cuff treatment that will help.